Amidst all the rhythmic Afro Caribbean influence, in every generation Puerto Rico has had performers that have excelled in the international opera scene. The tradition started with our tenor Antonio Paoli, who in the 1900s was considered the king of tenors and the tenor of kings. He was the first artist in the world to record an entire opera and was considered to have, at the time, one of the most lyric and powerful voices… superior even to his contemporary rival, Enrico Caruso. 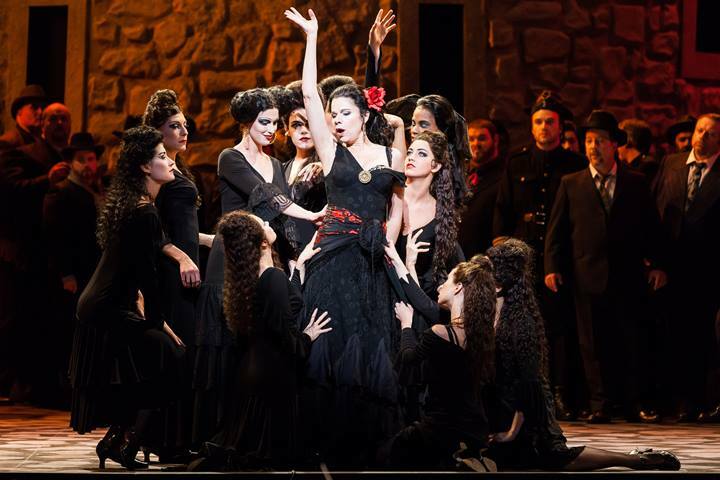 Now it is Ana María Martínez’s turn, a soprano singer that the London’s Opera Magazine ranks among the current top lyric sopranos. She is a Grammy Award winner with an international career that spans the world’s most important opera houses and concert halls. With a repertoire that encompasses opera’s most intriguing and diverse leading female roles, she engages her audiences time and time again with signature roles and captivating recordings. Ana María was born in San Juan, Puerto Rico, the daughter of Puerto Rican opera singer Evangelína Colón and Ángel Martínez, a Cuban psychoanalyst. She moved with her parents to the United States and grew up a few blocks north of the Lincoln Center in New York, spending summers in Puerto Rico. Her first stage experience was in Puerto Rico, as Laurey in a high school production of Oklahoma! Ana María went on to study music in the prestigious Juilliard School, graduating in 1993, and rose to prominence when she won the Plácido Domingo International Voice Competition Operalia 1995. She went on to work with the Houston Grand Opera studio, which gave her a platform from which to launch an international career. Today, Martínez has sung every major lyric role (including Mimi in La Boheme, Violetta in La Traviata, Donna Elvira in Don Giovanni, and the Countess in Le Nozze di Figaro) in venues such as the Metropolitan Opera, Teatro alla Scala, the Vienna Staatsoper, the Royal Opera House Covent Garden, Lyric Opera of Chicago, and the San Francisco Opera. 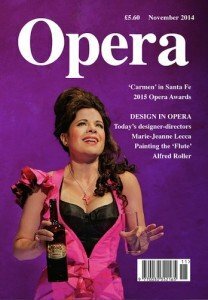 “I do have within me the cultural awareness of the Caribbean — that ‘instant Latin passion.’ I am also aware, since singing with Plácido in Brazil during the World Cup, that when I participate in some world event, I do represent all of Puerto Rico!” – Ana María Hernández in Opera News, October 2014. Congratulations to Ana María for her recent appearance in the November 2014 cover of London’s Opera Magazine! More about Ana María in Puerto Rico is Music! ← Wake up Menudo fans!